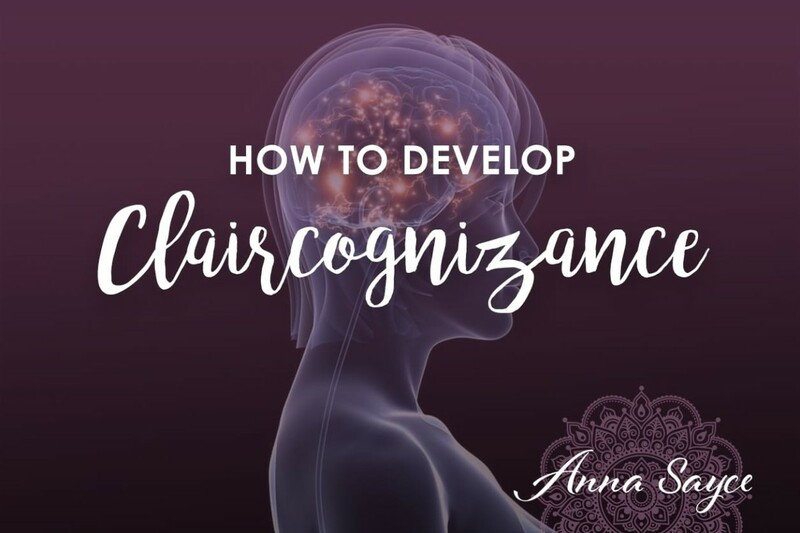 In this article, I explain a bit about claircognizance and how to develop it. 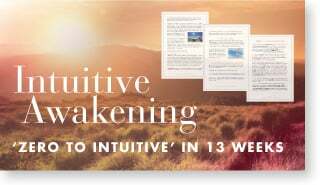 Claircognizance is one of the four main intuitive gifts. 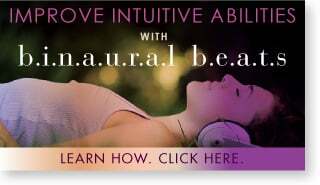 I decided to write an article about this because I find that so many of my clients are gifted claircognizants but few of them are even aware of this ability they have. Claircognizants tend to be very mentally-oriented people. They are often analytical and are good at understanding abstract concepts and solving problems. As children, they seem to know too much and have an answer for everything. They were probably labeled ‘know-it-alls’ growing up. I find that around 40-45% of the people I read for are primarily claircognizant. Claircognizance is very common but not as well known as clairvoyance or clairaudience. Few people have heard of claircognizance. Most people think of visions and clairvoyance when they hear the word ‘psychic’. Many expect their intuition to be a voice from heaven or an amazing premonition. Some psychics can see dead people and hear voices, but many gifted psychics receive information through less ‘dramatic’ channels like claircognizance. However, if you’re expecting visions and fireworks and voices, you may miss your claircognizance. Claircognizance is no less powerful for being subtle. 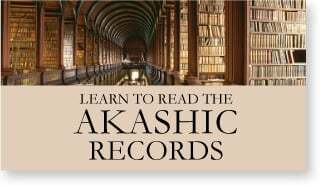 Anyone who had channelled information in written form (this is called ‘automatic writing’) is utilizing their claircognizance. You have a sense of inner knowing that it would not be a good idea to accept the job you’ve just been offered, despite the fact that it seems perfect. You have a certainty that someone is lying about something, despite evidence to the contrary. If Claircognizance comes in the form of thought, how can you tell the difference between claircognizance and your own thoughts? Here is a key difference between thoughts and claircognizant input: When you’re thinking, your conscious mind is in control. When you receive claircognizant information, your conscious mind is only observing the information that is coming in and sometimes trying to interpret it – it is not generating the information. The claircognizant information just comes from nowhere, and it often has nothing to do with what you were thinking about. Another difference – Thoughts are usually ego-based and want to protect you from failure, embarrassment or disappointment. Claircognizance transcends those fears and comes from a place of wisdom. Claircognizance may only make sense in hindsight. Your thoughts won’t usually require you to take a leap of faith, whereas claircognizance might. Automatic writing is suitable for receiving claircognizant information, as it often comes through in big chunks. Open a word document or get a piece of paper and a pen and ask your Higher self a question. Write down whatever comes into your mind in response – it doesn’t matter if it sounds like a load of nonsense at first, no-one will read it but you. Make sure the conscious mind is only a spectator in this exercise – don’t allow your mind to think about the information you’re getting. The first time I did this, I got a page of nonsense from my subconscious mind. When I persisted with it, I began to channel some insights which surprised me in their clarity and wisdom. Now whenever I want to tune in to my guides or Higher Self, I open a word document and start typing and my claircognizance begins to take over. Make time for intuitive guidance: if you don’t already meditate, start a meditation practice, as just five minutes a day will help you to tune in more to your intuition. Meditation helps to quieten your mind and Divine guidance can come through a quiet mind more easily than a distracted one. Claircognizant information often comes through to me when I’m meditating. When I’m meditating, I imagine my crown chakra (the chakra on the top of my head) opening up and I often receive spontaneous intuitive insights upon doing that. When you’re in a relaxed state and ready to receive intuitive guidance, if none is forthcoming, start the process by asking a question of your Higher self and see what comes into your mind. Often your claircognizance is already operating and waiting to be recognized as guidance. Become more aware of your thoughts. In particular, be very aware of the thoughts you are having when you meet someone new or when you’re being told about a situation that you know little about. See what you glean about the person/situation between the lines and if you can, get it validated. Do you think you have this gift? What are your experiences with claircognizance? – please share by leaving a comment! I think that lots of writers are claircognizant, just as lots of musicians are clairaudient…I certainly use my claircognizance in my writing. I sometimes insert details or analogies which sound weird or irrelevant at first but then they tend to nicely link into something else further along – it seems like chance or luck, but it’s really not. Thanks for your mini reading to me. You know what ? Five years ago my friend and I developed a website just like yours to help people find their right way in this world and to heal people from a distance. But, I just did it as a side job although there always were people asked us to help them. We didn’t really take good attention to it. But this month, my friend and I felt that we must be serious in managing the website, so now we start a new website seriously. And then, I found your website. You told me that my strongest intuitive gift is claircognizance. It really convinced me to continue seriously what I have started before. I’m really happy to read you and finally discovered that it’s OK the things that I can feel. Since the begining I knew things that gonna happen, dangers, sickness of persons around me, but differently of you I do not considere this as a gift, I had wished those thoughts stop for ever ….” I know things that I can’t say and seeing thing that I can’t describe” to others and when events happens around me and I was unable to aware a person about what I knew and this person is important to me….I feel bad like someone that see things happens and I have do nothing to aware this persons…..because nothing can be done, once the draw finished. those “message” come to me even if I avoid it or do not requested it…. I close my “eyes” to avoid seeing…. I have just recently discovered Claircognizance. I never knew why I had these incredibly strong gut feelings. To be honest I never really gave much thought to this ability. Knowing has always been very helpful to me and sometimes even my loved ones. If I feel strongly about something I let others know. I would like to thank you for posting this article. I will definitely work on developing this gift. 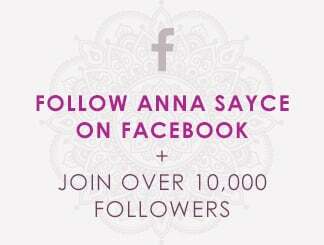 Thank you Anna for sharing all this! It’s very helpful. And I appreciate the mini reading!!! Alfi – I’m glad the mini-reading helped in some way! Eduardo – Sounds like you’ve got a real gift. Maybe you can find someone to teach you to turn it on and off though. I wouldn’t like to have my psychic awareness switched on all the time. Hannah – thanks for posting, glad the article was of use to you. Sometimes, I say something and suddenly it happens. For example, a while ago, I told my wife out of the blue “I never had a kidney stone” and passed kidney stones within minutes. I could say “Be careful, deers can cross the road” and they do within minutes or they are on my lot when I get home without minutes. When this happens I say things for no reason, completely out of any context. What could I do to develop this more and what would you think it is? Sounds like claircognizance if things are just randomly popping into your head…it sounds as if it’s a gift you already have well developed. Thank you so much for this awesome information. One of my abilities, although mot my strongest, is claircognizance. Often it comes through as I am writing and other times it comes through as things that I say like “be careful your gonna fall” to my son and two second later he falls or I just suddenly know that there is going to be a trooper ahead and I slow down and two seconds later I pass one trying to catch speeders. I use my clairsentience a lot…and I mean a lot lol…I can communicate with my guides almost completely using my clairsentience but combine it with claircognizance and of course the two working together is wonderful. So I am trying to more fully develop my claircognizance. Your article has really helped give me insight on how to do that. Thanks! I never had i name for what was happening before. I just knew things names, dates, friends past history. My family has alwasys said they didn’t know where i came from because I was very mature and smart very young. Thank you! Hello, I think I have developed Claircognizance and am pretty sure I have had it for years. When I was younger and attended school, I was talking to all my school friends and saying how much I would love some cherries…That afternoon, when I went home from school, sitting on the counter in the kitchen was a large box full of cherries my father got from work for free. This is one of many things that had happened. I always get very strong feelings when it comes to people. I can tell exactly what they are like. I don’t think I can see auras, but this could be part of it, I’m unsure. Can anyone give me some insight on this and what you might think it is? I really want to practice it and developed this ability I think I have. Yep – sounds like a combination of claircognizance and clairsentience that you’ve got going on! i only just discovered that i had this, i just thought i knew what people intentions were for no reason, i have always been able to tell what people want and what they are after, and how they feel about me. im only 19 so i must sound really silly being so young. im gonna try and channel this and learn how to use it, if you could help me that would be really great. Hi Tara, thanks for your comment, good luck with it! Hey! I’m still not completely convinced that i have claircognizance, i was read a while back, and found out i am a soul reader, but as i also have frequent ‘knowing’ feelings often described as claircognizance i think it may be this instead. Labels frustrate me lmfao. Your examples of it is by far the most clear ive read so far xP thanks! Hi Tara, glad this article was helpful for you! this article comes to me as a blessing! I have been claircognizant most of my life and believe me it hasnt been easy for me,to the point of being labeled as whimsical. I would certainly like to develop these abilites further so that i can with certainity trust what i “feel” or “say”. thanks to you Anna for the great information…keep up the good work. Sorry ot bump in again…would you have any ideas to develop this ability in children? I feel my 3 year old is clairgognant..she out of the blue desires something and she invariably gets it by “chance of luck” that day. thanks once again for any info on this. Hi, this is absolutely amazing. I have always thought I was nuts or the rest of the world is…lol. I can and have always been able to read people’s intentions and I can absorb feelings from others, I can block it most of the time unless I choose not to or the feeling is very strong…but when I feel it coming on I can turn it off. I also receive tons of information and have no source or reason to know it. The information can be in regards to politics, government, friends, family of friends…just pretty much anywhere, I can easily predict events and occurences from the information I receive. I rarely am surprised since I seem to be notified before things happen, though I was surprised of michael Jackson’s death….and that catches me off guard when I don’t expect something. Another thing is I converse with “friends” who are no longer living. I can meditate and visit them. I also see shadows, distortions in my sight (like areas being rippled as through water), I have been visited many times by spirits, touched by them and have heard music, speech and other noises as actual noise, not mental hearing. I am very sensitive to energy, good or bad. Just yesterday, my father passed away. I felt a severe sense of urgency in my out of town siblings coming…I knew they’d be too late and sadly they were. My brother and I were with him, and before he left, the room was full of energies, as soon as he left….he was standing behind my brother, I smiled at him…and the room calmed….as soon as that happened I felt as though all the air in me was sucked out of me. I made a noise that even concerned my bro since he ran over to me…but after that…I was physically ok…I am missing my dad terribly as is to be expected. I wanted to come on line to make sense of what I saw and felt yesterday…I’m sure my father was welcomed by loved ones who have passed and that was the “commotion” I felt before he left. Before today I had no idea that there were even names for the things I experience. I always felt I was a bit more sensitive then most people, but I didn’t realize that others are the same…I am very happy and very much intrigued. Hi Sups, I’m happy that this article was useful for you. As for kids, I’d say it’s best to nurture and support their abilities rather than actively develop them. Just acceptance of their sixth sense is huge, as many kids who are perceptive shut that down when they feel disapproval or fear from their parents. That’s what happened to me when I was little. Hi Jenn, sounds like you’ve got it ‘going on’ psychically! That’s awesome. Not sure what to think. I have dreams at times and a few weeks later it happens. I use to have them with disasters and after 9/11 I did not want to see anything anymore so it kind of stopped. I had a dream of when I will get pregnant which is four and two not sure what it means but I am not pregnant yet. Also for about 20 years I guess I always dream of this mansion that is mine. I dont have money to have something like this but in this dream it is mine but I never know how i got the money. Today I went to pick something up by my apt and I saw this house and the first thing that came to my head was this is my house. It is similar to my dream. I even felt anxious and also I hit the breaks. I always dreamed of a nice house and I look and wish but this was different. I even drove around it and took pictures with my cell. Did not take too many because they had a security system and I did not want to get arrested. I feel confused and not sure what is going on. Like one month ago I had a dream with this actor Mexican one and I found him on myspace and sent him a note. I still did not get a response but I felt I need to write to him and be his friend. I know he will respond eventually but I get weird stuff like this and not sure what it means. When I tell people like friends they say I am crazy. I dont get this a lot but the house dream I had three dreams in two months. I dont even make enought money to pay for that unless when I decide to write a book I get a lot of money or I win the lottery. I just feel confused and I wish I knew what this meant or how to make it easier for me to understand what it means. I am also catholic so it is even weirder. THanks. This may sound a bit strange but I came across this article while looking for a good link to assist another who was clearly claircognizant. It was a question asked in Yahoo Answers and it was slightly disturbing to see some of the answerers telling the poor girl that what she was experiencing was simply an over active imagination. And when I supplied a brief explanation of what claircognizance actually was, I was actually given two thumbs down by two people! 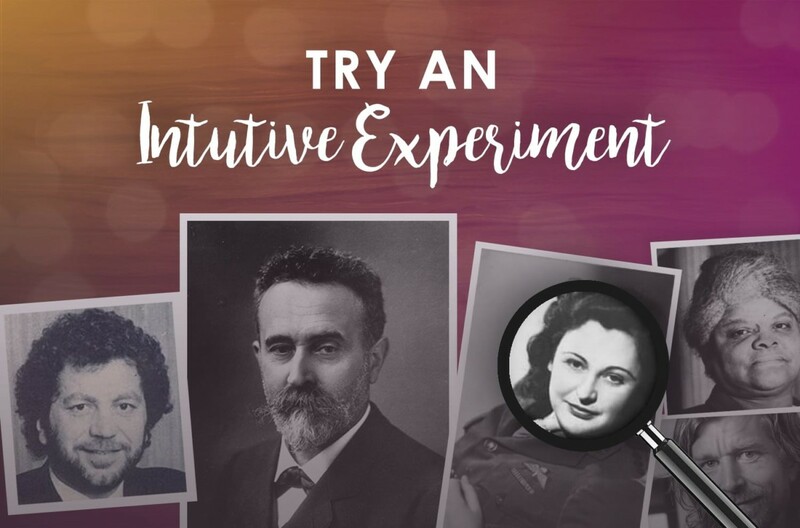 My own experience has been that once I began developing my clairvoyance, my other gifts like claircognizance also became more prominent and a method of communication with Spirit that I could rely on, for the most part. wow, I have claircognizance and apparently a lot of other things too that i havent even realized, this is so cool! Hi Nick, That’s great. I’m glad they liked this article – thanks for sharing it! Hey, I came across this article while researching claircognizance, and if you don’t mind, I’d like to ask for your opinion. Sometimes, I get these really strong feelings. It’s not anything specific at all, it’s just kind of there. But it’s almost always coming from a person, and when I get it, all it ever says is that that person will be important to me somehow. It tells me they’ll be significant, and they always are at some point, even if it takes years for it to happen. Lately, though, I’ve gotten it from a few objects that have a direct relation with a person. For example, I was to be assigned a partner in a class, and I thought immediately of one person. When the teacher had me draw a name for a partner, my eyes when straight to one slip of paper like a magnet and stayed there until I took it. When I looked at it, it had that same person’s name on it. I’m not really sure if I have claircognizance or not, but it’s come the closest to really describing what those feelings are. What do you think? Hi thankyou for this explanation i needed for some of the things happening to me,i found ur site because i was curious as i had dreamt about two people and the next day they died even though i didnt know them well,i was wondering if and why i would be contacted? also have always been very sensitive to good and bad energy and insights into people and situations like an old wise man even though im young lol,i also gain a lot of insight through my dreams and many more weird and wonderful things,do u think i should go to see a spirutualist for help and guidance? liked the article. didn’t know there was something called claircognizance. things are making a little more sense now. i definitely want to become more in tune with my spiritual guide. well i’m not a claircognizant im more of a clairvoyant. but if you can tell what is on the back of a playing card 85% of the time, is that more clairvoyance or precognition? Hi there, it depends how you get the information. If you just ‘know’ it, it’s claircognizance and precognition. If you can see what’s on the back of a playing card, then it’s clairvoyance. How would one develop this. Right now, well I’m 43, I’ve had this all my life. I never seem to be able to see anything important but I can scare people and have witnesses to what I have done. I feel a little euphoria when it happens. Is that normal? My friend is sitting in the light wearing something colorful with his back to water and darkness. I’m worried about him. What does that mean? If somebody else sees the card it could be clairvoyance. If not it more likely claircognizance. Hi Darren – have you tried the suggestions in the blog post? Hi just wondering if this would be claircognizance or something else. I have many times been driving down the road or riding with my husband and ill think deer and ill say slow down there might be deer and sure enough there are my husband calls me a deer radar. Also when someone close to me dies I know they have passed before I am told. And when my best friend got pregnant and didnt tell anyone i knew something was different about her and when they said guess what, i said Amandas pregnant. then they were like how did you know? I said I just did i could tell. Also I can be thinking about an old friend that i haven’t seen in a long time and they will call or i will run into them somewhere. Could this be Claircognizance? Exact same things happen to me daily. I would say that would be claircognizance and precognizance both working together. This is a brilliant article, Anna! It reminds me of the first time I explored my claircognisance, and at the time I didn’t know what it was. I was working my way through the NLP workbook (http://www.scribd.com/30929470/NLP-workbook) and on the section on aligning neurological levels (p.28). This basically is an excercise that takes you through working through the different layers of your existence and your behaviour and helps you work through problems, conflicting core beliefs, work out solutions to get through areas in your life you are having challenges in, etc. You start off with the first level, ‘evironment’ and work your way through the levels, taking a step backwards each time that you move levels, so you go from environment (where and when) to behaviour (what), then to capability (how), then to beliefs and values (why), then to identity (who) and then beyond identity (connection with higher self). I sat down with the workbook on my laptop and worked through environment, and then when i took a step backwards and started on behaviour, i started typing all of this stuff that just came from somewhere, but it wasn’t from my conscious self! I got pages and pages, link between lots of thoughts, a whole lot of thoughts that i didn’t realise i had. it was very intense, but very rewarding. Incredibly insightful. Since then I’ve tried a couple of times, but haven’t experienced anything quite like what happened that night. After reading this article, though, I think Im realising that perhaps what i need to do is focus my intent and then practise, practise, practise! This puts a name to something I have experienced since I can remember! Many times I have heard the words “You have an answer for everything, don’t you.” – not exactly meant as a compliment. And many more times I have said “I just know; I don’t know how I know, but I know.” And then the rolled eyes of those I’m saying it to! The one example you site about not taking a job really hit the spot with me. I was unemployed and out of the blue I had been asked to temp as a favor. I insisted that I would temp only if I was to be considered for the job. After working for a month, just as HR was saying what a good job I was doing and that they wanted to formally “interview” me, that same morning I had been hit with this overpowering “knowing” that I should not take this job. Not only don’t take it, but don’t even continue as a temp. It was more powerful than any other time when I just “knew” something. So while I really needed a job and while everyone was very nice and the job was offering good pay and was close to home and seemed a perfect fit, I told HR that “something was not right.” I left, felt relieved and never looked back. About 3 years later a friend called me as asked me why I didn’t take that job. I told her that I had no really good reason; that I just knew not to take it. Turns out she had an interview there for the same position. Turns out that there was a lot “wrong” – which after she turned it down, the agency that sent her for the interview told her that they had a lot of trouble with that position and they were no longer going to try to fill it. The same agency that asked me to do them a favor and work as a temp, which leads me to believe that they had been filling and refilling that position for the last 3 years and perhaps for years previous. Somehow, I just knew and, for once, I listened! There had been other occasions where I did not listen and wound up beating myself up because “I KNEW better.” So glad to have a name for it. Now to make it work for me! Hi, I have known for years that I had a gift but never pursued trying to grow it. I can look at people at I don’t even know and know that they are dying or have something very wrong with them. I know events that happen before they happen sometimes a yr in advance. I would love to grow this gift but need help. I have no idea of what I need to do or who to talk to. So I came to your site and today is the first time I’ve heard of claircognizance. I feel like this may have something to do with my recent experiences. I have always felt that I have had some sort of psychic abilities but lately they have begun to completely manifest and it is scaring me so much. A year ago I was lying in bed sleep and I realized that my husband was not in bed with me. As soon as I woke up I got this strange feeling that almost made me sick to my stomach. Immediately thoughts start running through my head. I’m think where in the world is he at this time in the morning? It was 3am and he had went out with some friends the night before. So I hop out of bed pick up my phone and call him. He doesn’t answer the phone after calling him several times. A feeling of fear rushed over my body. I remember that previously I had registered for this family locator service with sprint that would give you the vicinity the person was in. So I used it and saw that he was about 10 minutes away in a neighbor hood that I had never seen or heard of. I rushed out of the house trying to make it there to see where he was, then I got a call from him. He said that he had drunk to much and had falling asleep on the side of the street and that he was on his way home. So of course I turned the car around and came back home. After questioning him for several months about where he was he still stuck to the story that he fell asleep on the side of the street. Almost exactly a year later I was over my mother’s house playing with our children when I started having that same strange feeling that made me feel sick. Like something was wrong. I told my mother that I needed to run to the store and pick something up for the kids. So she watched them while I headed out. I didn’t know where I was going something was just telling me to go. So I’m driving down the street and a street number just pops in my head. I don’t know if it was a voice or a thought. It was just so strange. Then I start to remember that it was the same street name that came up on the sprint locator. At this time I didn’t have sprint or any other gps system that would get me to this street called Osprey. So I’m driving turning down streets that I never heard of or seen. It was so dark out I could barely see the street names until I came up on them. My heart was beating so fast that I felt like I was going to pass out. I turned the corner and there was the street called Osprey. I’m thinking to my self ok I’m here, what is it, what is it that I am supposed to be here for. I’m so confused. I’m driving down Osprey and I notice a house with the door open. I can see the light coming from the inside of the house. I look in front of the house and my husband’s truck is parked outside. I slowly drive by the house to get a look inside and there is my husband putting new flooring down in this house. I’m still thinking ok hummmm why am I here. He’s just working on someone’s house, this is what he does for a living. But something just wasn’t right. I parked the car and walked up to the door before I had a chance to knock he turned around and it was like he had literally seen a ghost. His face went completely white and I could see he was having a hard time keeping his mouth from dropping. I got up and walked to the door and came outside. He said what are you doing here? I said you’re not going to believe this but I have absolutely no idea! He said ok humm well I have to get back to work. I told him goodbye and left. Before leaving something told me to look at the house address. I get back to my mother’s house and pick up the kids. By this time its really late about 12am. I go home and he comes in about 10 minutes after I arrive. The days event were still on my mind so after I put the kids to bed I came to talk to him. I asked him whose was it was that he was working on. He said that it was some family that his friend knew. I was like ok. I could tell that he was still wondering how in the world I knew that he was there. But he said no more. I just couldn’t let it go. Something kept telling me…no, no that’s not it… you didn’t see…wake up…look deeper. So I’m thinking how in the world can I find out who lives there. I remembered that there is a sheriff’s tax site that you can go to and see who has paid their property taxes and it gives the current owners of the house. So I hop online and go to the site. The site allows you to search my address. So I put in the address to the house and a name popped up. I about fell out of my seat. My heart stopped I know for at least a second. I was so hurt. The name was that of this woman who my husband had previously been secretly married to. I had no idea that he was married. How I found was one of the first times I felt that I may be psychic. But that is another story in itself. So anyway I had feelings that he was still in contact with her. I’d see calls and text messages that they had sent to each other over the years. I go to him and asked him why he lied about whose house it was. He said it was because he knew that I would get mad. He went on to say how it was nothing and that we needed the money. So I asked him about him being in that area a year ago and of course he denied that that was where he was. I took a deep breath and let it go. So yesterday was about 7 months later. I’m sitting over my mother’s house I call my husband because it was getting late and he was supposed to come and pick us up. He doesn’t answer after calling him 3 times. I again start having the same strange feelings. I ask my mother if I can use her car to get something to eat. I had to leave the kids there with her again. This time I feel like I am being pulled, like something is rushing me. I feel like I’m not moving fast enough to get to the car. My thoughts are you know where to go… you know where he is. I’m driving down the road thinking hurry… he’s there… you’re going to miss him and he’ll lie. I think to myself if he is here this time I believe, I believe that I’m either psychic or there is some guardian angel watching over me and telling me what to do. Again I’m at the street driving down and there is our van parked in front of the house. My whole body went limp. I put my head on the steering while for a second to pull myself together. Tears slowly streaming down my face with the feeling that… this is bad… going to be so bad. I get out and walk up to the door I ring the door bell. I feel my husband in there… I felt his feelings. He was scared. He knew it was me. I knocked a few more times and had the feeling that he was coming. At this time I’m standing on the front porch. I step off of the porch and here he is coming from the back door. His face was so hurt I almost felt sorry for him. He was crushed…discovered. I asked him why was he here… why did he come…i’m crying yelling. He told me to calm down and that we needed to go and talk. He went on to tell me that he had had an affair and that she was now 6 months pregnant and he had come to check on her. He had only been there 5 minutes before I showed up. My heart stopped I felt like all of the air was leaving my body and that I would just die… right there… right there in the car. He told me that he was so sorry and that he knew that I was coming and that he was trying to rush to leave but she kept showing him pictures of the baby. Of course I am just blown away by these events and how I could sense this all. How I knew something was wrong and was able to find it out. How can this be possible? Am I psychic? I don’t feel like I can read minds or anything extraordinary. I have sensed things before it happened a couple of times previously. I feel so strange and alone but yet almost relieved that I know. Where in the world do I go from here? I’m so lost as what to do. Wow! When there is something in your life that needs focus, attention and CHANGE spirit will go to any lengths to help you. Claircognizance, some clairsentience and I think some clairaudience…maybe even spotted in your experience some clairvoyance. But definitely spotted that you have strong strong clairsentience and many that are clairsentient also have all other clairs to some extent working at the same time along with. What to do? Spirit is telling you to make a change for yourself. And also just start consciously using your abilities by using them in your every day life. I was so touched by your experience I had to comment…hope no one minds…I wish you well. Just recently, I have been told I have the gift of claircognizance. I am glad I found your website, I hope it helps me better understand myself. I used to love to write, especially in school. I was good at it and the teachers let me know this. But I did start a family at a young age. I never write or read now, it seems there is no time. Unless of course I am cramming for an exam at my local college. I am afraid to get it all wrong, but I hope your site will help me overcome this fear. Thanks for the exercises Anna! 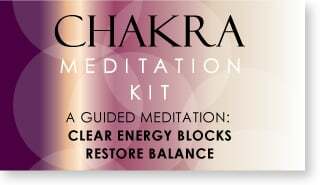 I just realized that conscious channeling can also help with claircognizance. I had only channeled twice in a psychic class. 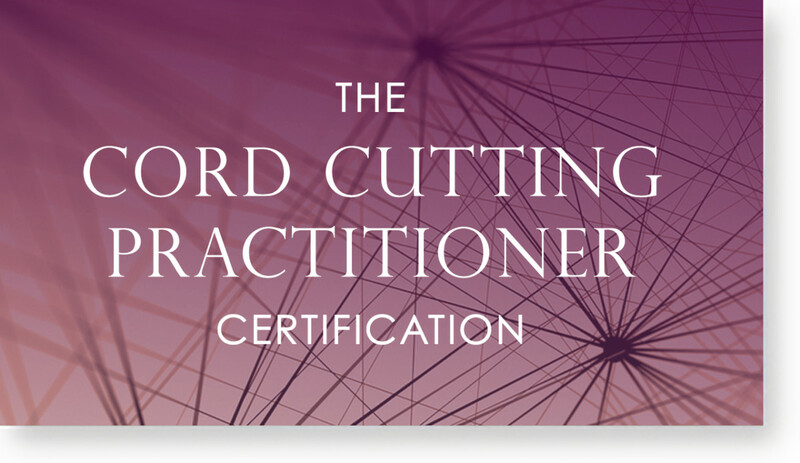 It is exactly as you described automatic writing and receiving guidance. You just step back a little, only observing and the information comes through. Don’t question it or doubt it even if it’s silly. So, channeling can be another tool to help develop this gift! Thank you for the easy-to-read, informative article. I had been using the word intuition, not realizing that I really meant to be saying claircognizance. I look forward to reading your ebook. I believe I had a claircognizance moment. When I moved to the South I was unaware that you had to spray inside your house for cockroaches. About a year later, I saw a huge one in my kitchen which totally grossed me out. That night, I woke up from a deep sleep and “knew” that there was a huge roach crawling across my bed covers over my body. I swung with my hand (without actually seeing/hearing anything) and heard it hit the wall. After screaming and turning on the light I saw it scurrying across the floor. I guess my brain was on cockroach guard duty! The writing exercises sound interesting, maybe I’ll give them a try… Thanks! I dont know where to start I have experienced all the clair things. I thought I was mesed up in my head I never knew there was people on this earth that would understand me. I even thought I was schitzophranic and even tryed all the meds up to haldo. I know that what I know can be useful but I dont know what to do with it. I know its still in my head and I can comunicate with it at any time but its done more bad than good so I ignore it to live like a normal person.The more I interact with it the more powerful it gets sometimes I think I need an excorcism. this is exciting! Iv’e been trying to figure out why I know he things i do like when someone is sick just by looking at their jacket. Or when someone will get hurt ahead of time, or when my mom will have a good business day for her little shop, or most recently packaging something to mail for ebay, I just knew the recipient was an animal lover. I’m excited to do and learn more with this ability! In some ways I believe making it stronger will improve my ideas and abilities as an artist! Thank your for the read! I read this and I know I have Claircognizance. My mom was once told I have an old soul and hold alot of information that someday will be used well. My parents and friends always seem to come to me for advice and although I have no known profession I have information way beyond my years. But I have also used Clairaudience, Clairsentience, Clairavoyance as well. Usually when I do readings for my friends and family members I am right on key and I know when to ask how are you and how is your day…because most of the time they will say it was very hard or can you help me figure this out. I just dont know how to make it stronger. If anyone can give me any tips I would greatly appreciate it. I meditate everyday and when I read people or tarot I say my prayers prior. As a Child my connection to people was much stronger now its more towards my feelings I get and things I see. I had an experience with claircoznizance shortly after my good friend and neighbour was brutally murdered by one of her best friends. I was taking a stroll through an extremely peaceful garden area when it happened. I wasnt thinking about anything other than how at peace i was in this beautiful garden. Suddenly the girl who was murdered poped into my head and I imeddiately tryed to think about something else and I asked my girlfriend who was with me to talk to me and distract me. The thoughts of this girls started to feel like they were being forced into my thoughts in some way. I was doing a good job distracting myself and at the same time I was saying in my head ” I cant handle this rightnow” over and over. It got really strong and totally took over. I was receiving thoughts from a presence. It was as if someone was talking to me in my head and using thoughts to show me valuabe insight into my own life. It was showing me thoughts of what will happen to me if I continue on the path I am currently on. It was as thought the entity putting these thoughts in my head wanted to help me with its knowledge. I feel terrible that I eventually rejected the entity’s attempts and I force the spirit away out of fear of this experience that was so new to me. I am claircognizant and I use muscle-testing/kinesiology to quickly and simply determine whether I’m being inspired or if it’s just my own thoughts. I use automatic writing (typing) to speak with my spirit guide and guardian angel and muscle-test to check every sentence that appears in my mind. Muscle-testing is a must for me because it can determine if the inspiration is coming from a bad source, like the spirit of a bad friend or something, which happens often to me. You can always check the source with your mind alone but it’s less solid. Muscle-testing brings solidity to the fluid mind. It was such an exciting discovery for me. Many sources I read say that this ability is part of clairaudience…just another form of it. I had always thought that anything clairaudience related would come to me through auditory means (my ears), so, I was surprised to find that I was clairaudient in this way. Thanks a lot for this awesome article…I realize that I have this ability. I am somewhat an introvert and only open up to people whom I somehow feel as though I already ‘know’. I love my thoughts which are mostly imaginative and spiritual in nature and as you pointed out my conscious mind is mostly only the observer to these thoughts.I never realized this was a psychic ability although the insights and purely creative thoughts I recieve amazes me. I am known to be a very creative and imaginative thinker by my peers. I had no idea until tonight that there was a name for what I have experienced so many times in my life! Claircognizance…great term for it. My ability to know things without having any idea how I know them has gotten stronger over the years. 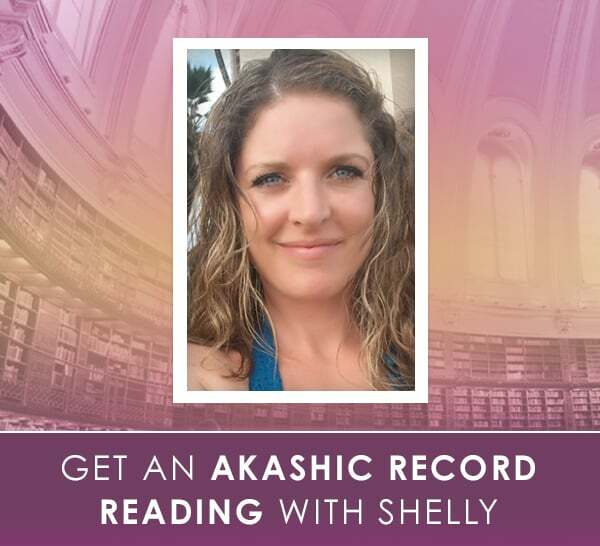 My first experience with it was 21 years ago, when I was very suddenly and dramatically surrounded by this warm feeling of light and love and received a “download from God,” as I’ve always called it. I was told that I would be getting pregnant, that the child would be a boy, that his presence in our lives was critically important to my 4 year old daughter, and that despite nearly dying during my first delivery, we would be fine. Boom, just like that. I went from being “certain” that I’d never have another child to being absolutely certain that having another child was a wonderful idea. My husband thought I was having some kind of massive mood swing. But I never once wavered, never once second-guessed the decision to have Ben, even though our marriage began to fall apart during my pregnancy. And now, Ben is a handsome, funny, very strong, extremely bright young man who has indeed been critical to my daughter’s well being. I was also called to join the Army at the age of 46 and serve as a nurse from 2004-2007, despite my having two kids in jr high and high school. And it was extremely scary to take that leap of faith. But I know that when I am directed to do something, I must act with great courage and faith that it is my Divine Path. And so I joined and I served, and am so incredibly glad I did. The experiences I had were beyond anything I could have had in the civilian world…and I did a lot of good for a lot of soldiers when they were in dire need of care. My brother and parents thought my joining was absolutely insane. A lot of people said a lot of pretty terrible things about me because they felt I was deserting my children. But my kids understood these callings I receive and they supported it fully. And at this point, with the work I’ve done and the care I’ve given, everyone else sees the wisdom of that choice, too. But they still marvel at how I could have “known” to do something so radical. I tell them I was directed to and that I didn’t feel I actually had a choice. I’ve had several more of these experiences, visions, downloads, whatever, and they are, quite simply, always correct and deeply wise. I cherish the times that I receive such information and always, always honor and respect it. It is a great gift. 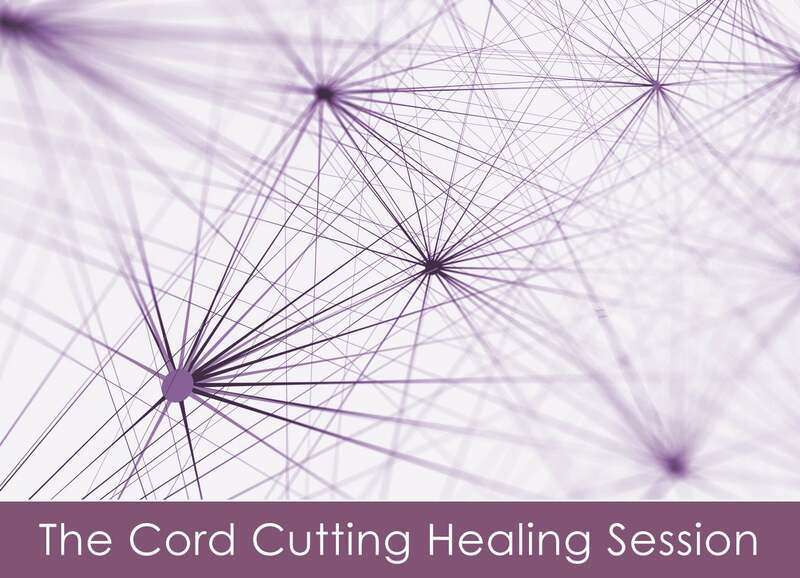 I encourage everyone here to listen carefully to your Guides and find the courage to follow your Path, because if all of us allow ourselves to be Divinely led, we have a fighting chance to repairing this broken world. I’ve recently found your site and I know I have Claircognizance. All my life I’ve known things randomly and I never really trusted that instinct because I had almost no reason to, but sadly I learned after the fact that what I had thought WAS correct. I just turned 21 and for the past week I have been getting more and more experiences. When two family members were coming to visit my home, at a random unkown time mind you, both of their names clearly popped into my head 10 seconds prior to them walking through the door unannounced. Another time I was feeding the animals on our farm before either of my parents got home. I heard my dad pull up, stop the car, get out, and close the door. I stopped gathering supplies and went to greet him, there was no one there. As I stood there dumbfounded his car pulled in within seconds. This does explain a lot in my life. My boyfriend, his twin sister, and myself are all born on new years eve, on the same year. We seem to have all been blessed with spiritual gifts. My boyfriend has always known he was an empath/ clairsentient and recently his sister has been recieving visions. After I did one of your exercises and recognized my gift, I noticed things more. I am very sensitive to pictures, colors, and numbers and when I have to guess what is on the other side of a card, the right answer glows with a color. Like if the card has a picture of a banana on the other side I will suddenly taste bananas and see the color yellow. I also find myself saying, ” I knew you were going to say/ do that!” What a person is going to say pops in my head right before they say it. I found myself knowing things that I just don’t know. I feel less at war and more calm after trusting myself more. This is all so new an exciting. The sad part is, my father, the leader of spiritual and Godly (religious) inspiration in my life who has gone through and seen many things doesn’t belive me. I guess everyone wants some sort of proof. I haven’t tried to tell anyone else. I’m scared.. Thank you for everything. God bless. I’ve had several experiences with claircognizance and clairsentience throughout my young adult life. I always thought that the ability to predict daily things made me different but I’ve always chalked it up to my overly-analytical mind. I also had very strong gut feelings that would sometimes have me turned over in worry and paranoia or in excitement. There were some incidence that had me very puzzled and it left a very deep impression on me. There was this moment when I was walking on the side walk on the way to the grocery store. There were a group of teenagers that took up the entire side walk and being the impatient one decided to walk on the street to walk around them. So thinking I was alright, I kept walking on the road. Then all of a sudden I felt a pair of hands shoving me into the sidewalk and away from the road. I was so shocked and was thinking to myself who would dare to push people around? I looked behind me to see who the culprit was and seconds passed a bus rushed passed me. I looked around me and no one was there. The group of teenagers had turned the corner and were gone. That same year, I had overslept and was almost late for school but I felt someone shaking my shoulder telling me to wake up or I’ll be late. I thought it was just my brother, because it sounded and acted so much like him, so i shrugged it off and continued sleeping. The shaking was insistent and finally roused me from sleep. Later that night, I asked my brother if he had woken me up this morning and he told me no, he didn’t even go near me. These two incidence bugged me so much that one late night I tried talking to it and told them that I will be fine and that I could take could take care of myself. A mental image of my deceased great grandfather appeared in my mind and I felt a presence leave me. As an adult, I’ve continued to have strong feelings when it came to making decisions. People much older than me have commented on how mature I view certain aspects about life and how I am able to give advice despite my age and my lack of experience. I’ve also been able to judge a person by their presence and can sometimes feel drained when I’ve been with certain people for long periods. 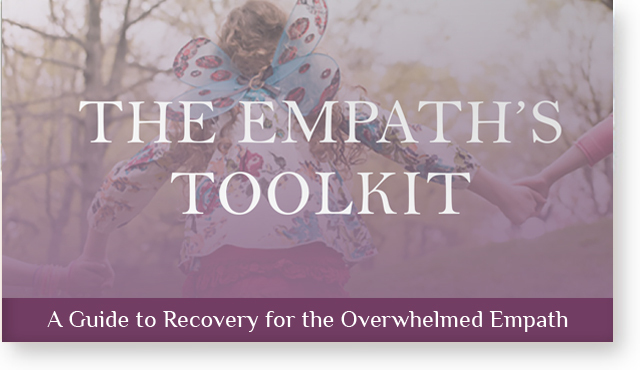 Reading the articles on this site has helped me shed light on what I’ve been hypothesizing for many years and being able to compare my experiences from the “symptoms” of each gift. I’ve always felt different and but I thought I was one of the few who felt this way and reading other people’s experience have made me feel comfortable being in my own skin. Sometimes when I am going through something, speak aloud to God and ask for guidance, then later sometimes when I am not thinking about it, just relaxing, maybe watching television or working on something, writing, etc… it will seem like suddenly I just know the answer, or an idea will suddenly come upon me, sometimes it seems that I just happened upon something that i was reading or watching on television and within it is an answer that I intrepret. It can be that all of a sudden something was just communicated to me and I just know, that is what I was asking for guidance about. Sometimes it seems as though I have gotten the information indirectly, to all other observers it would not communicate the same thing but to me it is exactly what I needed to know. It makes me so happy to see so many people actually with similar and so many experiences about clairvoyance, claircognizance and others. I don’t really know when I started having such experiences but I only became aware of it when it happened to me when I was probably 10 years old. A year before that age, I had a dream. I dreamt that I was with my cousins and we were hiking up the mountain and was looking for a way that would lead back to the road. A year later, my mother, brother and I went for an morning hike with our cousins. On our way up, because me and my female cousins were left behind, we planned on looking for a shortcut. Relating it to the dream, “I remembered climbing up a rock with a tree beside it and thinking that I had found the road.” I remembered it when I was really at the scene. For a second, I recalled that dream. Then I just told my cousins, “This way. I know where we can walk through to get to the road.” And I was right. Because of that experience, I’ve become more aware of it. Now, I’m 18 y/o and it continues to happen from time to time. Sometimes, when I’m thinking or talking to people, a scene suddenly appears for a split second. And after a few months or a year, that scene happens unexpectedly. Another is that, I get information out of nowhere. I love to play word games like Text twist etc. I type many words that I know and as it continues, I suddenly type words whose meanings I don’t really know (They just pop out of my head). Moreover, I never knew that those words existed. Then my nephew would just be startled and I sense that the he turned off the television. Sometimes, when I sense it and it’s not in our house, the waves came from our neighbor’s house. I don’t know. I’m the only who can hear things like that. One more experience was that when I entered High School, we had a school program wherein the Seniors would adopt the freshmen students with the purpose of helping and assisting them in school activities etc. The senior students would pick a piece of paper from the box and the MC would announce the name of the freshmen student. At that time, my eyes were on the MC. She was really kind and beautiful. Then the idea suddenly came to me and I uttered to myself, “I’d be so happy if she was the one who adopted me.” When her turn came, she picked a piece of paper and at that moment, she announced my name. I felt so happy! What I was asking for actually happened. When I ask for something unconsciously, it always catches me by surprise because it happens. But when I ask for something consciously, it only has a small chance of happening. As for my brother, he also gets premonitions/premonitic dreams also. We discussed it to our parents, aunt and grandmother but at some point, they gave negative comments about it. But for me, I’m searching for answers. Answers that could satisfy my curiosity. That’s when I saw this. It makes me so happy to see everyone having such amazing experiences and developing them. I watched a Japanese drama once and it was all about ESPs. Telepathy, Psychic powers and so much more. It really got me hyped up. I wanted to have such abilities and being able to control them. One thing also that I do sometimes is Lucid Dreaming. I unknowingly start controlling what goes on in my dream. But when I control it for a certain time, I slowly lose it and wake up. Although I have already become aware that I’m dreaming before I suddenly wake up. I’m really trying to find a way on how to develop these abilities. It doesn’t matter if people would find me crazy. For me, what’s important is that I am able to do something that people are not interested in developing or are not aware of. Thank you so much for your article! It really helped me. Everyone’s sharing also helped a lot. I will do my best and develop my abilities and hope that those who will also read this article will do the same. I think my strongest is clair cognizance, It’s like my mind is quiet alot now and I know how to sense Downloads and mind connections/intuition/syncronicity. Last few months, my words are literally manifesting in my life and my friends and family. I think they are noticing too. Since I have the clear Knowing , right now I noticed I can see the Gifts in others and also thier issues they need to evolve. Its like I’m reading them, sometimes I see auras and spirts but I think that is the clair seeing thing, but I’ve had it for a long time as a result of a powerful obe i had about 17 years ago, I would just have panic attacks for about 10 years thinking people were watching me and they were but spirits, then I saw them but I noticed I could not communicate with them just see, and I don’t know how to develop it as much, Ive been trying but instead I gained Intution skills and became aware that i’m a empath. This developed into clair sentience and clair cog. Now I’m doing 3rd eye meditiation to unlock the rest. I have more things happening to like electro or techkinesis. That’s more developing the spirt asked me to work on with ascended masters. My comment is for Rae, I don’t think you have clair-anything I think that you are just unsure of yourself and that uncertainty manifested itself into jealousy, which you acted upon by spying on your husband. In short, Beware the jealous accusation made against the one you love, for unjust accusations push people to do just what they have been accused of. Without forethought. Hey, my name is Calum and I just want to share my experience and see what you think. Ok ever since I turned 16 I started getting strange connotations about different people especially the people close to me. I instantly knew what they were thinking, although im not sure if it is claircognizance. The first major experience i had was when i was playing a video game with my friend. we were playing and he was winning as usual and then all of a sudden, i had a deja-vu sort of experience were i just felt no emotion and saw myself doing one of the hardest moves in the game, it only happened for a split second. then i said to my friend ” i feel like im about to do this move”, he doubted me due to the fact it is very hard to do. then about 2 minuets later exactly what i saw came true, and my friend just looked at me in amazement, but i had no idea what i had just done. since then i have had a lot more experiences another being that i started to think about some sunglasses that my friend had left at my house, and the second i stopped thinking about the glasses one of my other friends messaged me on facebook saying “hey did someone leave some sunglasses at your house?”. I was shocked honestly. I also can just randomly tell when someone is lying to me or how someone is feeling and since all this stuff has been happening i have become very very interested in it all and fully believe that it is real. One question i have is that, even though i love having these experiences, I have never been really able to control it, it just happens when it happens completely random. I would love to be able to have some control over it, is this even possible? I found out that I have Claircognizance over 20 years ago, when I realised that I was being fed information that felt like De Ja Vu at the start. When I started investigating into the Paranormal seriously 8 years ago things become more clear and It helped develop my skills. Since then I have had countless experiences, some good and some bad. I am keen to take it a step further, but need the confidence to do so. I have the gift of claircognizance. I have had thoughts downloaded to me from my guides and angels. Sometimes I have not heeded the information and wish I had. Now I listen more. Yes, I think I have claircognizance. I have clairsentience too, and some times I have trouble telling the difference between the two. I am accurate reading photo’s of strangers. I usually get personality information, likes and dislikes and things that have been hard for them in their lives, what their relationships are like, things that frustrate them. I also some times just know if they have children. It’s that kind of thing, that I wonder about because it’s not from feeling and I think, “Oh, where did that come from?” So I keep researching claircognizance. I am pretty new to understanding the gifts I have, so I keep reading. Love your site! Great information and articles. Thank you! There were a few things mentioned that seem to fit with me such as knowing when someone is lying even though there’s evidence they aren’t. I’ve felt this a lot and in the end it always turns out I’m right. But, mainly it’s something else. After talking to someone for awhile I can tell a lot about them. For example, I recently started talking to someone online and I jokingly said a lot of stuff about him. Turns out everything except one thing I said was right and he got creeped out. So, I then told someone else I talk to online about this and they asked me to do it for them. I wrote about 2 paragraphs and they proceeded to tell me it was creepy as hell and to never do it again because everything was right. I also get bad feelings in some places. In a house I used to live in I’d almost start crying and I’d be deathly afraid in one hallway and only there. I’ve never had such an extreme reaction since then but still get the feeling. I think I mıght be claircognizant and an empath. Although I am now a middle aged woman I am now aware that I might have had these abilities for a very long time but have noticed recently that my abilities have expanded further. Since I was a little girl I have never found it easy to mix with people, especially in busy social settings like parties, school, shopping centres, pubs etc. I am acutely sensitive and like to live very quietly. Now I believe this to be so because of my clear sensing and seeing. Too much ‘information’ comes through to me and I seem to know a lot of things without knowing why this is so. I also feel I might be psychic because I can see clear events in the future however I am not sure how to develop my abilities further. I pick up on strangers’ emotions and/or lives – people I might pass in the street who I’ve never met before. I have found my life so incredibly difficult to deal with and am now wondering if this is due to my sensing gifts. I would be very grateful if someone could please advise what I can do to expand this. Thank you. I’m a social worker and counselor and I have always known information about my clients without them telling me, this has helped me ask the right questions to have them tell me the information. I have known things that have happened to friends without them telling me, I once had to explain to a close friend her drink had been spiked and she was assaulted. Medical staff also agreed. It’s hard to not tell people like management how i know what is going on with clients, and or coworkers. I was referred to as the team care bear, as I was the one who picked up on things…. Hi, my names kyians. I was wondering if that’s what I am. At least once a day I will be doing random errands and at some point I see a person that I think is someone else, but I get closer and realize it’s not the person I thought it was. Then no more then 10 minutes later I actually see that person I thought I saw before!!! It’s really weird but amazing because there’s so many people in the world but I end up seeing the person I thought just saw! Hope this made sense and hope you can tell me if I’m a little claircognizant. After reviewing this article, I wonder if this is something that I might be experiencing relating to an incident which happened last evening. Just settling down to sleep and relaxing – about to doze off when a random name pops into my head (first and last) of a person I do not know. It was very specific. I don’t know anyone by that name, but it just popped into my head. Of course, I googled the name and found a zillion ancestry entries but I cannot imagine why I would just think of a person I do not know or ever encountered before. I knew before I started a new job many years ago that my future was strongly connected to it. After I left that job, I started a new one and while there I caught up with a colleague from my previous job for lunch. After this lunch we kissed briefly and when we said bye there was no doubt in my mind that what was meant to happen has happened. I knew I would leave my new job soon because my purpose was complete. I was made redundant soon after and many years later I heard from my old work friend again. He never forgot that day and today we are happily together with a child. The knowing what is meant to be is such a strong insistent thought in my head that it is almost overwhelming forceful and that’s what separates it from a normal thought. I’ve had experiences with clairicognizance for as far back as I can remember. The earliest I can remember was when I was 4, I was with my parents at a family friend’s house. All of the sudden I just knew we had to go home because my pet bird was sick. My parents didn’t believe me but I was inconsolable so we left, when we got home my bird was dead. That was the first I can remember, but I’ve had instances throughout my life. If my friends and I were playing cards I knew what everyone was playing before it was even their turn, and of course I’ve always known when a person was not to be trusted or had alterior motives. I have attended a mediumship class for a while now and have become rather adept at giving readings. One of my latest involved a young lady. I am clairvoyant so in my mind’s eye I saw a lady partially bent over running at me with both arms pumping and she had a cigarette planted in the middle of her lips with smoke pouring out like she was a train. I immediately described what I saw and then said it was Clara, her mother, and she died from lung cancer. She wants me to tell her thank you for coming here today and that she is doing fine. The young lady said I was right on. My question for you is, the words just come out of my mouth without any help from me. In fact if I try to speak while it is happening it stops and I have to wait until it begins flowing again. Is this a form of channeling or claircognizance or what? And where is it coming from? Thank you so much for what you are doing for us. you are really great!!! I think I have this ability as on several occasions I have known things are going to happen before they do. I certainly want to hone this ability and hopefully I can. I think I may have this sense of claircognizant , out of nowhere ill just know things, its crazy and I cant explain it , I know things that people are about to say and I end up saying and they tell me, hey I was about to say that , how did you know ? idk haha but seems pretty cool and blessed I would sure love to have a stronger channel . When I was in 5th grade I was given an IQ test and I scored 165. It was the highest score in the county school system and my brother hated me because his score was lower. I had no idea how I correctly answered so many questions. Later on in life I took a class on Mediumship and became a fairly good Medium. I was also very clairvoyant and of course, that helped my mediumship tremendously. But I had a problem. Spirits would come to me and look at me as though they were directly in front of me and be jabbering away but I heard nothing at all. But then after a short pause I started getting the words in my head. Not exactly but enough that I knew what they wanted me to know. It was then that I learned about claircognizance. I just wish I could develop clairaudience! Do many people have two clairs that stand out, or mostly one? I tend to say “I knew it” a lot, and I get that feeling when I write a detail in almost whimsically and it connects deeper with something I write later on. But I also have had several dreams, where the main concept is shown to me later on in the form of a movie or show. The most prominent example I have is two dreams I had years ago. The second was a sequel to the first. The main idea of the dream was that some people from my school and I were fighting pure energy, that, when manifested, could be seen as electricity and light. Years later I then saw a preview for a movie called The Darkest Hour. The manifestation of the invading aliens was almost identical to what I saw in my dream. It was creepy, and I haven’t had that happen since.